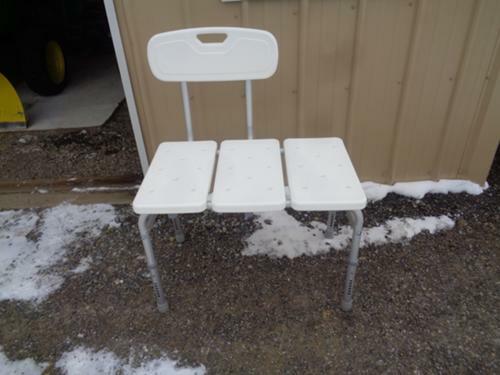 For Sale: For sale - On this post I have a brand new shower transfer bench. It was just put together yesterday. It is made by Sun Mark. I still have the box that it came out of. It has a back rest and the legs are adjustable for height. I am asking $45.00 OBO for this brand new shower bench. I live in Mount Jewett but go to Bradford and Olean weekly. Other reasonably local areas may be arranged to meet. Thank you.